P90X Resistance Bands vs Pull-Up Bar or Dumbbells for Best Results? P90X Resistance bands or Pull Up Bars or Dumbbells? It can be a tough question when you are trying to get the best results possible with the fitness program. Today in my video I’ll share whether the resistance bands are any good to use with P90X versus Pull Up Bars or the Dumbbells. So now it’s time for your question: What do you like better? The Resistance Bands or the Pull-Up Bar? Comment below and let’s chat! Maximize your workouts! Resistance bands have been proven to help you burn fat and tone lean muscle faster. Just as effective as free weights, resistance bands are much more portable and convenient, so you can work out anytime, anywhere. And with increasing levels of resistance, you can keep ramping up your workout as you get into better and better shape. Resistance bands have been proven to help you burn fat and tone lean muscle faster. Just as effective as free weights, resistance bands are much more portable and convenient, so you can work out anytime, anywhere. And with increasing levels of resistance, you can keep ramping up your workout as you get into better and better shape. 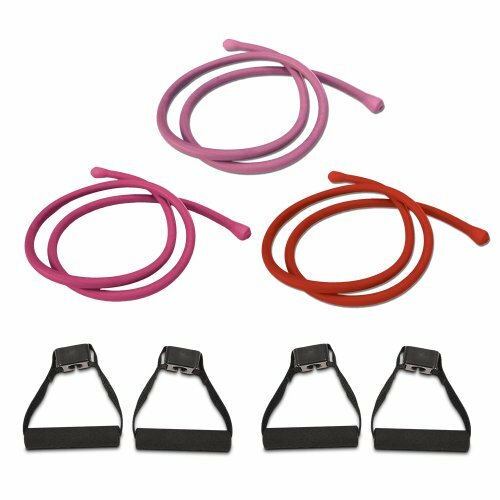 These color-coded bands come in a range of resistance levels and attach to soft, foam-covered handles for maximum comfort. These pro-grade bands will get you lean and ripped even faster! Used with most Beachbody workouts. Each kit includes 2 bands, 2 sets of comfort-grip handles, plus 1 FREE band! Provide variable resistance throughout entire range of motion. Control the tension by shortening or lengthening the band. Portable and convenient—perfect for travel or at home. Used for total-body sculpting, toning, and fat burning.